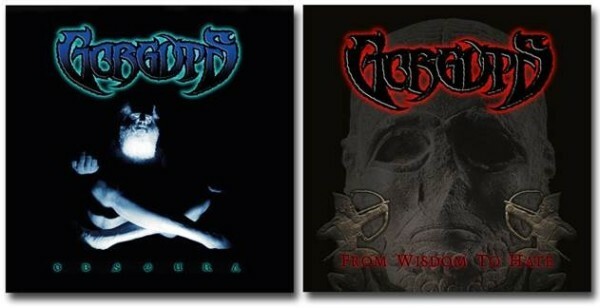 Death metal band turned prog-core act Gorguts has re-issued the latter two albums from its classic period, Gorguts and From Wisdom to Hate, on industry powerhouse Century Media Records. The re-issues — on jewelcase CD, 2LP and limited edition 2LP — will be available in pre-order starting March 9, 2015. The re-issues see official release on April 6, 2015 in Europe and April 7, 2015 in North America. Both are dedicated to the memory of former members Steeve Hurdle (R.I.P. 2012) and Steve MacDonald (R.I.P. 2002). While Gorguts has deviated into progressive-themed *core territory with their latest, Colored Sands, this band helped forge the sound of technical death metal back when that term simply referred to death metal which required technical ability to play. While Obscura has often been imitated in style, those who have tried to imitate it have generally done so on the basis of style alone and missed the sublime composition within which made this album a classic independent of style. Nice! I assume that it will be one of Century’s “two from the vault” releases, which puts me on guard right away since, you know, remasters. Nevertheless, good news; finding a copy of Obscura on disc is difficult. The “two from the vault” releases were from Roadrunner. Century Media re-issues are usually much better. I think the word is slowly getting out to labels: for remasters, we reward cleaned-up sound not the ProTools loudness war, and the artwork should be good. Century Media’s re-issue of the Massacra CDs was really well done, despite not having a workable master for one album (recorded live in studio, so no separate tracks). Doh! Glad I was mistaken there. Thanks for the correction. In their interview with Guitar.com they play Inverted and you can really hear the bass line there a lot better than what’s on the album. Wonder if more sections like that will come through on the remaster.